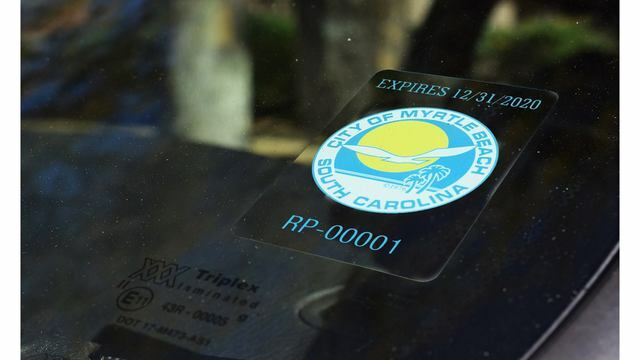 MYRTLE BEACH, SC (WBTW) - Registration has opened for the 2019-2020 Myrtle Beach Resident Parking decals. The decals are only available for Myrtle Beach residents who live inside the city limits. To use this online parking decal registration, you must have your most recent Horry County Vehicle Paid Tax Receipt and your current South Carolina Vehicle Registration Card. If you have a qualifying golf cart, you must also have your SC Golf Cart permit number, issued by the SC Department of Motor Vehicles. Once complete, parking decals will be mailed to your registered address. You can apply for a decal online by filling out the application here. You can also apply in person at the Myrtle Beach Parking Office, 914 North Kings Highway, between 9:00 a.m. and 4:30 p.m., Monday through Friday.